Campaign is launching a content series and event designed to help women in advertising maximise their influence and career potential. 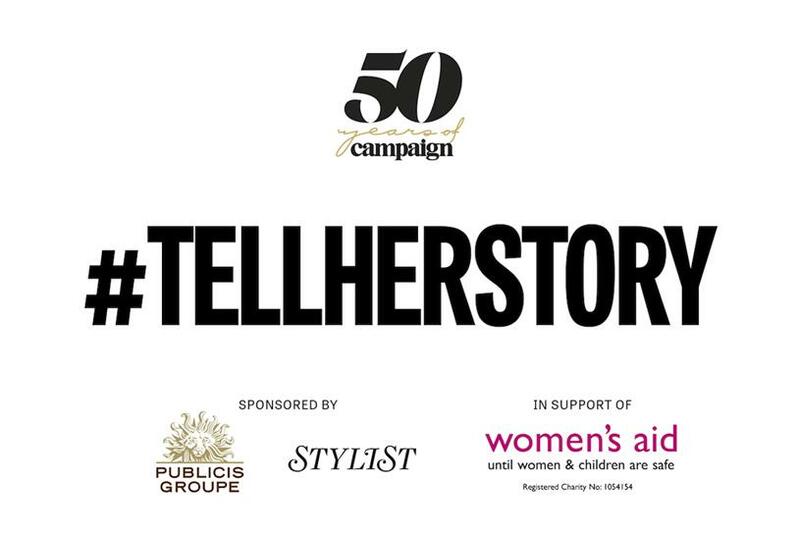 The #TellHerStory initiative combines a retrospective of Campaign's 50 years of coverage of women in the industry with a focus on how women in advertising today can change the narrative by making their voices heard in future. The event, on 22 November from 6pm, will feature speakers talking about how they found their own voice and sharing tips for the next generation of women in the industry. It is sponsored by Publicis Groupe and Stylist magazine. Tickets are priced at £10 and the cost will be donated to Women's Aid, the charity that supports women and children who experience domestic abuse. Campaign's trends editor Nicola Kemp will chair a panel and speakers will include Sue Frogley, CEO of Publicis Media UK, Lisa Smosarski, editor of Stylist, and Chaka Sobhani, CCO of Leo Burnett London. Kemp said: "We are in the midst of a period of seismic change and much of that change is happening because women’s voices are being heard. The success of the industry over the next 50 years will be dependent on its ability to create space to champion and celebrate a diverse range of talent and that is why we launched #TellHerStory." Paula Cunnington, head of talent at Publicis Groupe UK, commented: "Publicis Groupe is passionate about driving diversity in our industry and supporting our next generation of women on their journey. We are committed to our VivaWomen! mission of helping ensure men and women are equally represented, supported and recognised at all levels within our Groupe. In partnering with Campaign and the #TellHerStory initiative we want to share these guiding principles and learnings with the wider industry." Sophie Robinson, chief marketing officer at Shortlist Media, added: "Stylist has always been a brand which celebrates, inspires and empowers women. This year we launched Visible Women, an initiative set out to educate our powerful female audience about the strong women past and present who give us the confidence to fight for a more equal future. It’s fantastic to be able to be part of #TellHerStory and bring the same gift to the women of our own industry." Event tickets can be registered for here.